When Shawn Carey founded his law office, The Carey Firm, he did so in order to provide experienced representation for personal injury and wrongful death victims in Grand Island, New York. 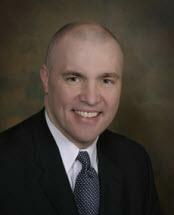 Mr. Carey leverages more than 20 years of practice in and out of the courtroom to advocate for clients. Because of his tenacity as a trial attorney, Mr. Carey has obtained millions of dollars in settlements and verdicts. He is able to take on personal injury cases of all kinds, no matter how difficult or complex. Additionally, Mr. Carey represents people with Social Security Disability matters and those who have been hurt by legal malpractice. In every case, the attorney pursues the best possible outcome. From its location in Grand Island, the law office works with clients from Niagara Falls, Lewiston, Youngstown, Tonawanda, North Tonawanda and Buffalo. Mr. Carey also welcomes cases from the greater New York metropolitan area and counties of Erie, Niagara and Monroe. The Carey Firm offers a free initial consultation and takes credit cards as payment.